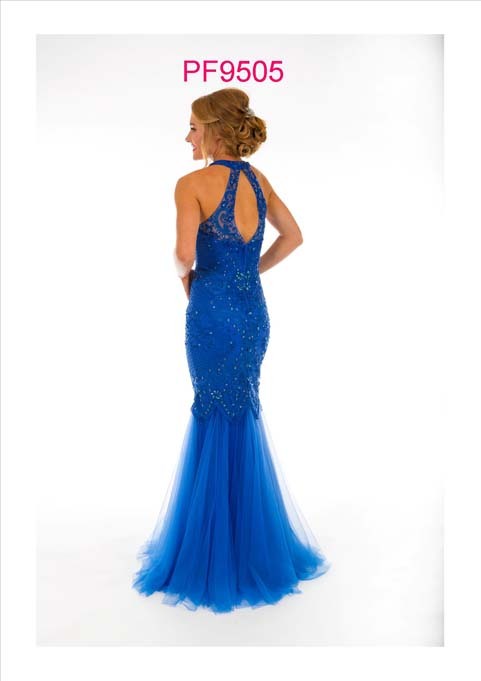 A gorgeous figure hugging fishtail gown with embriodered detailing and subtle beading. The racer neckline has an open keyhole back. 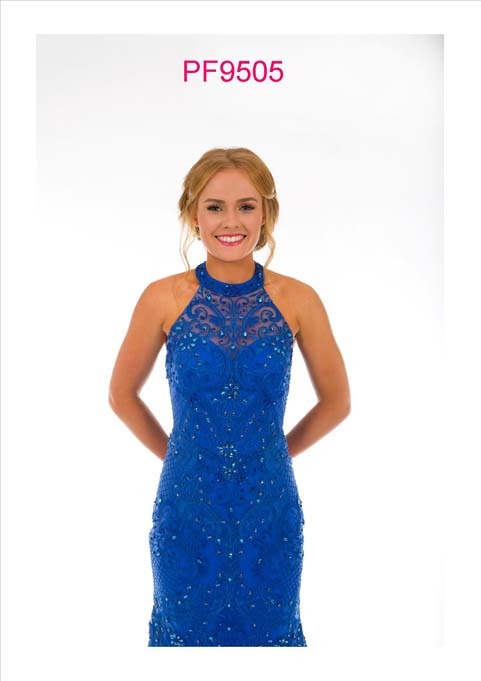 This gown is ideal for shortening after the prom so you can wear it again and again.